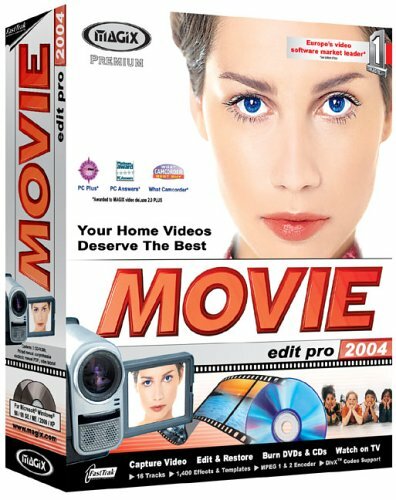 Choose MAGIX Movie Edit Pro because your Home Videos Deserve The Best. A choice of edit screen modes and professional, yet easy-to-use features make it a snap for anyone to transform raw video footage into impressive movies. Make sensational cuts, build special effects and 3D transitions and create your own soundtracks. An integrated CD & DVD authoring utility makes it easy to create animated chapter menus, like those seen on DVD videos, and record your memories onto CD & DVD. Enjoy the groundbreaking Windows Media High Definition technology and use the high image resolution of your PC monitor, projector, or HD-enabled TV device (via compatible-DVD player) to play crystal clear photoshows. The new standard format lets you experience the full multi-megapixel resolution with almost no loss and guarantees sharp contours, vibrant colors and great depth of focus. All you need is a few clicks to burn your movies with high-resolution menus onto CD or DVD: autostart-enabled for any PC! Simply choose between two high definition standard resolutions: 1280x720 and 1920x1080. For comparison: The PAL NTSC norm, for American TVs, can only handle 640x480 pixels.